Love left over dinners…having the last bit of a sprouted lentil Dahl for dinner. 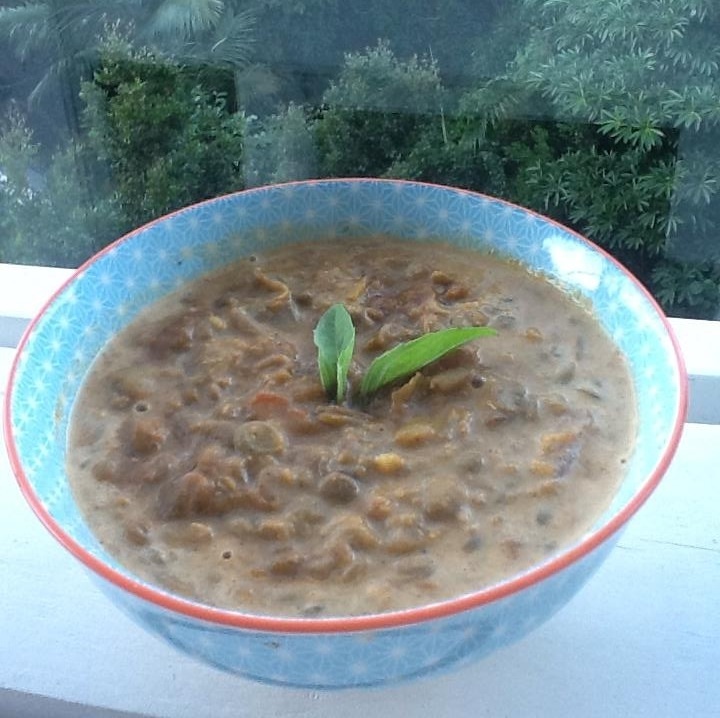 This is made the same way as regular Dahl but less time and more nutritional. You can cheat and use curry paste if you don’t have time to make your own paste. This is my favourite dish from a trip to India – Makhani Dahl. I cheated instead of making the paste from scratch used pataks rogan josh as base. My youngest could not help herself she had two of the bowls in the picture as a ‘taste test’. 1. Soak brown lentils for at least an hour. Boil in a pot with water till soft (40mins). 2. In another pot fry up onion, garlic then add 3 heaps spoons of curry paste (home made or cheat version out of a jar e.g madras). 3. Add a can of tomatoes and simmer for 5 mins. 4. Add the drained lentils, you might need to add more water as you need to cook for another 20 mins to blend flavours. 5. Mush up some of the lentils ( I used a hand blender) to make a creamy texture. 6. Add salt and pepper and just before serving add a large dollop of cream which you stir through.